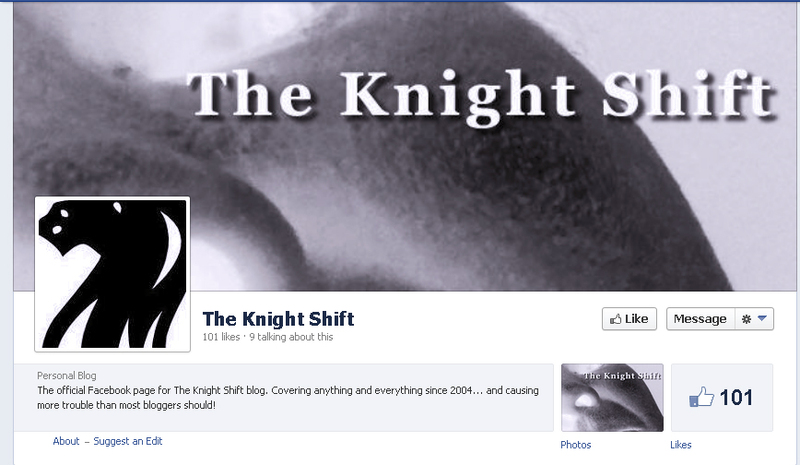 Home » blog , facebook , The Knight Shift » The Knight Shift has an official Facebook page! 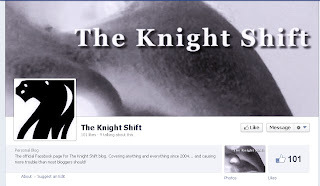 The Knight Shift has an official Facebook page! Anyhoo, the URL thingy is facebook.com/theknightshiftblog (pretty clever, huh?). The Facebook site's primary function will be to share posts that I make here on the blog. But I also have plans to use it for other neat stuff: anything from previews for coming attractions to emergency posts from the field when full-blown blogging isn't an option, to... dunno, maybe a recipe or two. I aim to have the place as hopping with seemingly random iotas of information, thoughts and wild ideas as this blog is.